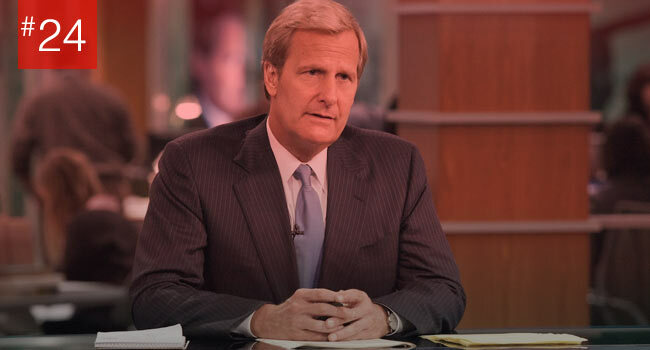 We’re in the middle of our list of the 50 most awesome TV shows this staff could reasonably compile without getting into any fistfights, and today’s ten shows are a little bit weird, a little bit out there, and 100% awesome. 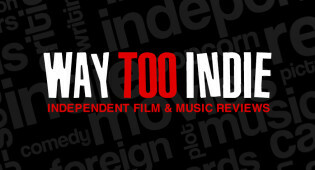 Cutting the list into ten shows each really juxtaposes how diverse our list is. 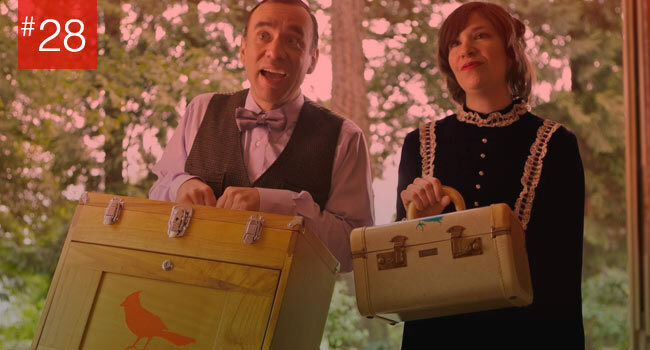 Where else do you see Boardwalk Empire sandwiched between Portlandia and Adventure Time? But isn’t that just TV? When giving movie recommendations we’re more apt to ask what people are “in the mood for.” When people ask about what shows to watch, we throw everything we’ve got at them. It doesn’t matter what mood you are in, these shows are just plain good. So check out the next few TV shows we rave on as we countdown to the top 20 and then top 10 TV shows of the decade so far, and be sure to read the previous lists so you don’t miss out anything we recommend. 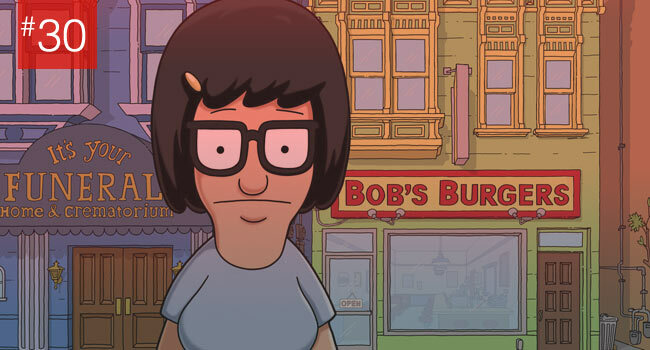 Positioning itself as The Simpsons for millennials, Bob’s Burgers maintains the tradition of warm but satirical family dynamics that have become a staple of FOX’s Sunday animation lineup. Unlike the other well-known would-be Simpsons successor Family Guy, the traits that have endeared Bob’s Burgers to the show’s fans stem from its off-kilter characters and unglamorous depictions of the Belchers’ lives while maintaining an optimistic tone. There’s the Belcher patriarch Bob, whose obsessive nature often leads him to make shortsighted decisions. His wife Linda, a boisterous, caring mother with a propensity to burst into improvised songs. She’s voiced by John Roberts, amusingly one of two men that portray females in the Belcher family. 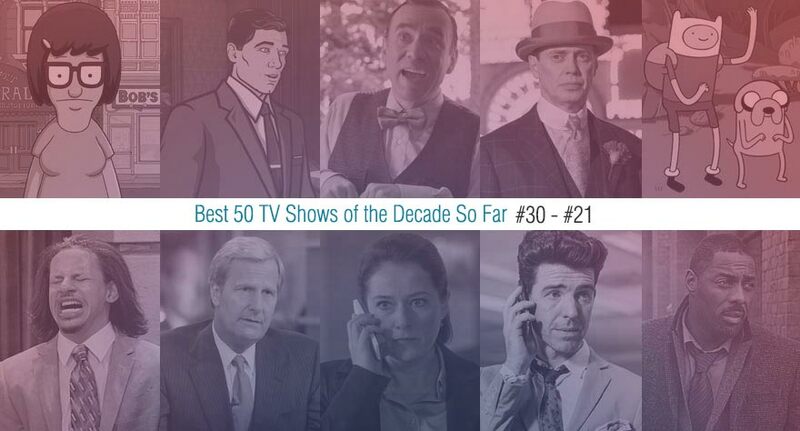 Adam Reed’s Archer had a sneak preview in 2009 but officially premiered in 2010, which is fantastic because an animated show with this much swagger, sarcasm, and hilarious one-liners begs to be qualified for this list. The whole show revolves around the all-American superspy Archer (impeccably voiced by H. Jon Benjamin), who wouldn’t want it any other way because he’s television’s most self-absorbed and egomaniacal adult in this century. Even when the entire nation is under some kind of nuclear, terrorist, or Soviet threat, or his agency is about to be sabotaged, there’s always room for insults, innuendoes, ego-strokes, and needles. 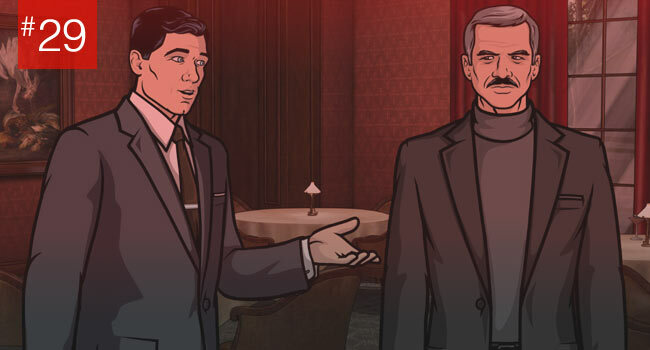 Constantly irritated by his fellow ISIS employees (ISIS stands for International Secret Intelligence Service, in case you were worried), all in dire need for a lifetime worth of group therapy, Archer plays with stereotypes and taboos like a deranged baby plays with Play-Doh. What gives the show its special edge is how brilliantly meta it is; simultaneously supporting and tearing down its own genre. Who else can have an innate talent for counting bullets and a legitimate fear of tinnitus, other than someone who’s seen way too many James Bond films? 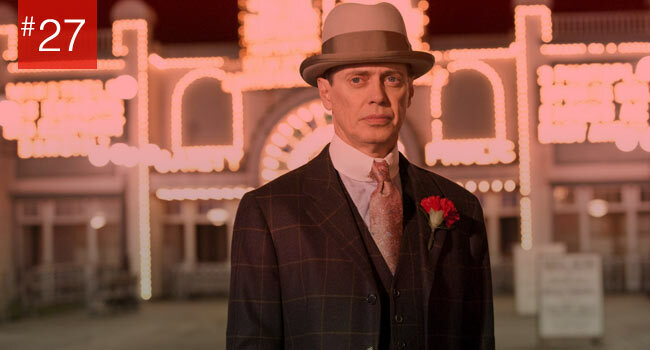 Say what you will about some of the narrative inconsistencies in Boardwalk Empire, this was Steve Buscemi’s time to shine as a bonafide lead after years of supporting jobs, and boy did he! Cut short with five seasons due to budget reasons, this 1920’s tale of prohibition-era gangsters who ruled the boardwalks, brothels, and boulevards with their grip on the black market alcohol trade will be dearly missed. Easily boasting the greatest ensemble cast of any TV show of the century so far (along with Buscemi, we’ve got Michael Shannon, Kelly MacDonald, Michael Kenneth Williams, Michael Stuhlbarg, Shea Wigham, to name just a few), Boardwalk Empire hit the ground running with the Martin Scorsese-directed pilot, and hardly looked back until its final season (can’t fault the creators for rushing a few storylines with the final eight episodes, all things considered). 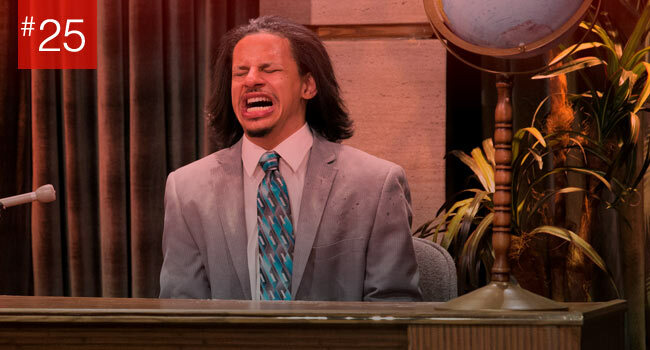 Next up on my list of go-to’s for an instant pick-me-up is a show with 11-minute episodes that will have you laughing for at least seven of those minutes and feeling inspired the other four. A show like Adventure Time can only really be described in terms of the amazing made-up adjectives its characters so often use. It’s utterly mathematical, freaking rad-tastic, and totally lumpy. Inventing new words is only the least of what Adventure Time is great at. The show—made up of individualized adventures—center around Finn (the human) and Jake (the dog) who live in a post-apocalyptic world called the Land of Ooo. The two are best friends, living in a tree house, and having adventures with the animals/creatures/beings of Ooo while maintaining their rather sunny dispositions. 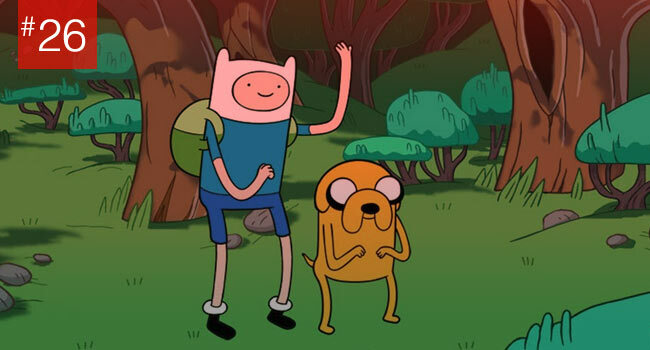 Sometimes the show one-offs to focus on their friends’ adventures or alternate versions of Jake and Finn. What makes the show so watchable (its like candy, TRY consuming only one) isn’t necessarily what Finn and Jake get up to, since most of that is pretty silly if you analyze it too long, it’s their responses to their situations and the lessons that sneak up while your dying laughing. Those Danes really know how to put on a show. With three meticulously constructed and wonderfully compact 10-episode seasons, Borgen successfully replicates all the various levels of stress, ambition, and passions that are in constant flux along the winding roads of political and media career paths. 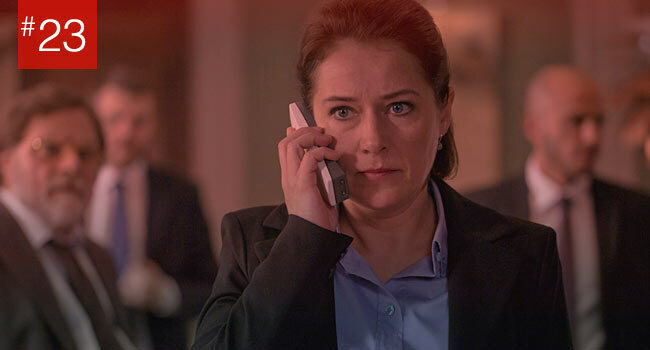 Constantly juggling the personal with the professional, Brigitte Nyborg (the brilliant Sidse Babbett Knudsen) has to be a loving wife, a caring mother, and a stringent Prime Minister for the country she loves so deeply. Aided by her politically savvy spin doctor Kasper (Pilou Asbæk, on his way to becoming world renowned) and kept on her toes by a workaholic TV reporter Katrine (Birgitte Hjort Sørensen), Brigitte is faced with major challenges on a daily basis, and it’s preposterously addictive to watch how she handles them. I’ll be brief here, because I’ve already written plenty about Utopia on the site already. 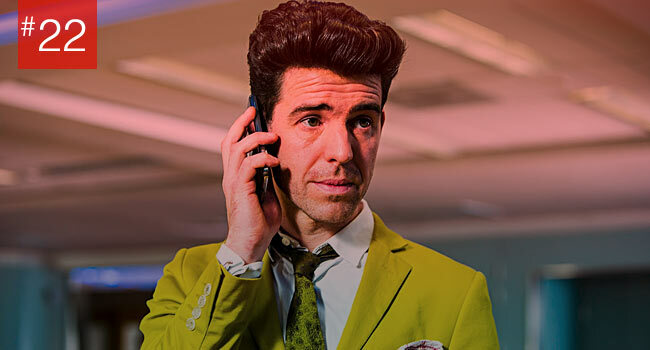 Dennis Kelly’s short-lived series (it was cancelled after its second season performed poorly) was a show that felt like the future of TV was unfolding right in front of your eyes. 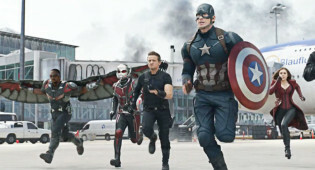 It combined the pop art look of a comic book, the bleak universe of a Cormac McCarthy novel, and the humour of a Coen Brothers film. It was one of the best looking TV shows ever made, with its 2.35:1 aspect ratio erasing the dividing lines between film and TV. It spent an entire season building up a vast, terrifying conspiracy that actually lived up to its own hype. And it had one of the best scores on TV, too. Utopia really was its own beast, a truly singular show that was destined to be too strange to get properly recognized. Hopefully the upcoming HBO remake will shine some light on what might be TV’s first truly experimental drama. “LUTHAH!” That’s me going around and recommending the BBC detective show Luther to anyone who’d care to listen. 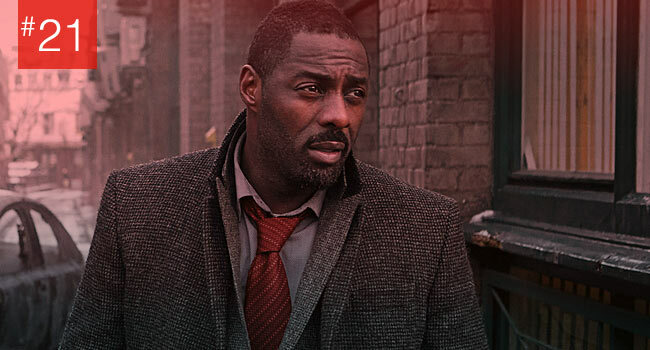 With the venerable Idris Elba playing Detective Chief Inspector John Luther, who’s part Jack Bauer part Sherlock Holmes but kicks both their asses (yep, Bauer’s too), it would be very difficult to muck this concept up. Thankfully, series creator Neil Cross does the exact opposite, honing his skills as a novelist to bring about a very organic and comprehensive psychological study of one brilliant detective. All the familiar tropes are present: an emotional attachment to catching killers, the hardships of committing to personal relationships, and a proclivity to play against the rules. It’s all there, but never allowed to feel clichéd thanks to the sparks created by Elba’s performance, Cross’ dialogue, and consistent directorial control. 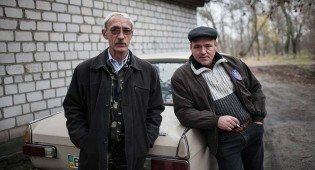 A speechless, fascinating framework houses a less-compelling narrative in Miroslav Slaboshpitsky's feature debut.